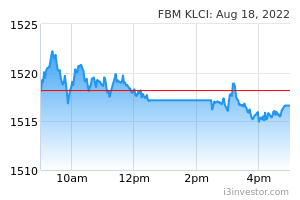 We maintain our UNDERWEIGHT call and forecasts, but cut our FV by 19% to RM0.22 (from RM0.27). 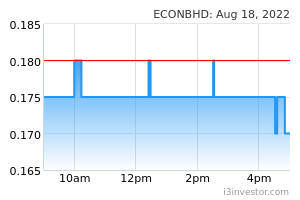 We now value Econpile at its end-FY18 NTA, adjusted for a worst-case impairment of RM80.1mil (from 8x forward earnings previously), given its elevated earnings risk following a slew of negative earnings adjustments recently including cost overrun and receivable impairment, coupled with the latest significant contract dispute. Econpile has commenced proceeding to recover RM80.1mil “progress claims” from ASM Development (KL) Sdn Bhd (ASM) (a property development company believed to be controlled by businessman Tan Sri Abu Sahid Mohamed), arising from a RM280mil contract awarded by ASM to Econpile in 2016 for foundation and substructure works for a mixed development project called Maju KL near the Sg Besi Toll in KL. The grounds for the proceeding were that: (1) ASM had interfered with or obstructed the issuance of interim certificates in respect of Econpile’s progress claims amounting to RM80.1mil; and (2) ASM had failed to issue the relevant interim certificates upon the receipt of Econpile’s progress claims and make payment accordingly. At present, the contract is about 80% completed, with an outstanding value of about RM56mil. This is on the heels of Econpile recognising RM33.9mil cost overrun and RM15.1mil trade receivable impairment in its recently announced 2QFY19 results. To recap, the cost overrun came largely from: (1) the cost of “idling time” (due to design changes and temporary work suspension) it had not been able to claim from the MRT2 and East Klang Valley Expressway projects; and (2) the downward adjustments in expected profits from a property piling job. On the other hand, the trade receivable impairment arose from a client (property developer) being put under receivership by a bank. The amount represented outstanding progress billings and retention sum from a RM64.5mil substructure job for a high-rise property project awarded to Econpile in 2014 and Econpile subsequently completed it in 2016. Econpile’s solicitors hold the view that Econpile “stands a good chance in recovering the outstanding value of works done” in the latest contract dispute. We are unsure if the market will give it the benefit of the doubt. We are keeping our forecasts as Econpile does not need to make any impairment pending the outcome of the proceeding. We maintain our view that the current slowdown in the local construction industry sector is no ordinary sector cyclical downturn, but a secular change to the sector’s fundamentals, triggered by: (1) a major cutback in public infrastructure spending over the medium term as the government adheres to fiscal prudence; and (2) the permanent reduction in overall margins for players in the absence of high-margin directly-negotiated government jobs, as the government observes higher standards of transparency and accountability in public procurement. We are also mindful of the acute oversupply situation in the high-rise residential, retail mall and office segments, which translates to weak prospects in property-related job wins for piling contractors like Econpile.